Michael Nelik had always been interested in science. For as long as he could remember he was always trying to figure out why things worked. He had grown up in a small rural town in Virginia. As there was not much to do, he spent most of his childhood reading and playing outside with his friends. He was quite shy growing up, yet those who were close to him realized he had a quiet ambition for learning that most lacked. Eventually, this ambition moved him to the West coast, where he studied Marine Biology at Stanford. His graduate work and love for the ocean led him to study the biodiversity of Aurelia aurita, the common jellyfish. When it came time to settle down, he knew he would continue his research on jellyfish at Stanford. What he did not know—what he could not possibly have known—was that his love for this marine organism would almost kill him. “You have a telephone call on line three, Dr. Nelik.” It had been a long day in the lab, and Michael was in no mood to answer the phone. It was probably his girlfriend, Cara, wanting to know when he would be home. He loved his girlfriend deeply, but sometimes she just didn’t understand that his job required long, tiresome hours. They had met about a year ago through a mutual friend, and while the past year had been amazing, recently he found himself annoyed with her. He couldn’t really explain it. Perhaps it was because she was so vastly different from him. Her love for science only went so far and she knew little about his research with the jellyfish. He had invited her a couple of times to come out on the boat with him while he collected specimens, yet she had always declined. 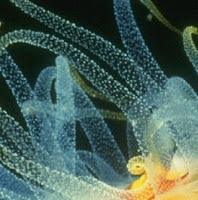 She had mentioned once that the transparent creatures scared her—when she was younger one had stung her in the ocean. When she told him this story, he had chuckled quietly; he knew that those types of jellyfish were harmless. Yes, if you came into contact with their tentacles you may receive a nasty sting, but it was nothing a little vinegar couldn’t fix. Dr. Palo was surprised. He thought for sure Dr. Nelik would not be coming. In fact he thought Michael had started to say that he wasn’t going to come. But then, out of no where he had told him he would see him the next day. No questions asked. Dr. Palo thought that was a little strange, but he didn’t have to time to reason why this man would be flying halfway across the world to help him with a problem he knew nothing about. He had much more important things to worry about—like why the jellyfish were dying off so quickly and why there had been an increase in the number of stings from Australia’s largest box jellyfish, Chironex fleckeri. While these jellyfish were known for their deadly stings, he hadn’t mentioned this second part to Dr. Nelik. He didn’t think the two cases were related. Besides, the one man that had died last week from the sting was in his late sixties. The pain of the sting had probably caused a heart attack, which had led to his death. He was also wearing a stinger suit—Dr. Palo had never known the sting of the box jellyfish to penetrate the suit in all his years of studying them. Michael could not wait to get off the plane. In his years of studying jellyfish he had never been to Australia and was very excited to learn more about the types of species that inhibited the strange land. He was taken back when Dr. Palo had asked him to help—he wasn’t sure how he could be of service. But then again, he really didn’t know the extent of the problem. He assumed the jellyfish were dying off because of a lack of food. 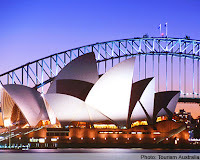 He knew that in the past years the ozone layer above Australia had been deteriorating and that the sun’s strong UV rays had been penetrating the earth’s atmosphere. While most knew of the human implications, few knew about the consequences the UV rays could have on marine life. 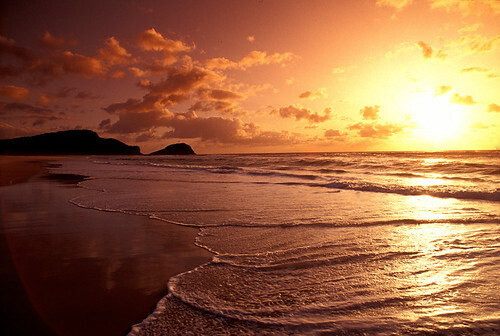 The sun is a crucial part of the food chain in the ocean. Without it, primary production stops and with no primary production marine life will essentially cease. It is perhaps obvious that without sunlight, primary producers cannot carry out photosynthesis. Yet, if the light is too strong, the photosynthetic systems of producers, such as plankton, can also suffer. He figured that the levels of plankton would directly correlate with the number of common jellyfish in the ocean because plankton is a major source of food for the creatures. He hoped he was right and that somehow his insight could help Dr. Palo. “That’s very true,” Michael replied. He was angry at himself for not thinking of this before. If the deaths of the jellyfish were related to the plankton, of course they wouldn’t be dying off just now. “We hope that you can help us Michael. We figured that with your expertise on the creatures we may be able to put our heads together and come up with a solution before it’s too late. There is also one more thing. I didn’t mention this to you over the phone because I didn’t think it was that important. But since I’ve called you more human casualties have occurred—“More casualties? !” Michael couldn’t help but interrupt. What was this guy talking about? Michael was familiar with these creatures. While he had never seen one himself, he knew about their lethal stings and prevalence in Australia. He didn’t think the deaths were that common though. “Goodnight Dr. Palo.”As jetlagged as Michael was, he could not sleep that night. He had a feeling that he was going to be in Australia for much longer that he anticipated. The next day Dr. Palo picked Michael up from the hotel and the two headed to the biodiversity station in Sydney. When they got there they were greeted by one of Dr. Palo’s lab technicians. He introduced himself as Rob, and the three headed to retrieve the sample. “You guessed it.” Rob opened a freezer and pulled out the preserved tentacles. No longer attached to the body of the jellyfish, the tentacles were harmless. He began slicing the tentacles into thin pieces and prepared a slide from them. “While Rob is preparing the slide, let’s have a look at the cells of a box jellyfish, Michael.” Dr. Palo put a slide under the electron microscope. He pointed out the nematocysts. “See how concentrated they are?” “The more concentrated, the more poison. And the more poison, the worse the sting.” Michael understood. He was anxious to see the prepared slide from the tentacle found at the beach. He was sure it would show a normal concentration of nematocysts. get off the beach soon, there was going to be a problem. Most people were not afraid of the common jellyfish, especially if they had stinger suits on. This apparently was no ordinary jellyfish, however. “No. Much worse, the common jellyfish.” Dr. Palo heard a click. He wasn’t surprised. The news had shocked him too. He was glad he had asked Michael to help. The three of them had to discover what was causing the rapid multiplication of nematocysts before it was too late. He wasn’t going to have most of Sydney die. Not on his watch. Michael wanted to have one more look at the tentacles before they went out in the ocean to collect more specimens. As he looked more carefully he noticed a thin filamentous structure sticking out from one of the cnidocytes, the cells that contain the nematocyst. He had missed it before because he was looking at the concentration levels. He panned over to another section of the slide and saw more of these filamentous structures. He started to feel sick to his stomach. He was no expert in microbiology, but the little he did remember from his graduate courses all came flooding back. He soon realized that he was looking at some sort of virus. He called Rob and Dr. Palo over. “Hey guys, come look at this again. I think I’ve found something interesting.” Rob and Dr. Palo looked at the slide. They too saw what Michael had just seen and all looked at each other with knowing glances. They were in way over their heads and knew it. It was time to call in a virologist. Her name was Toni. She couldn’t have been much older than twenty four. “Great,” Dr. Palo mumbled. She could be my grandchild—how is she supposed to help us discover what caused this virus in the jellyfish?” While Toni looked young and inexperienced, she moved about with a knowing presence that was wise beyond her years. She looked into the electron microscope, moving the adjustment knobs efficiently. Mumbling occasionally, she quickly made some notes. The three men stared at her, as if perhaps their staring would somehow solve this ghastly mystery. Finally, after about an hour she looked up. “I’ve got good news and bad news, guys. 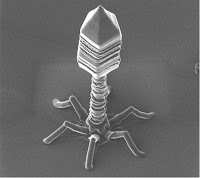 Good news is this virus cannot itself jump species. It doesn’t have the capability. Bad news is it is still indirectly causing deaths in humans. I have an idea of what caused the virus but I’m going to need more fresh samples to make sure. Can you guys get me more?” The three men looked at each other uneasily. They knew what they had to do. “Well be back in a couple of hours,” Michael said. He responded quickly. He knew that if he had taken the time to think about the dangers he never would have agreed. The three decided to wear two stinger suits and work together to find as many jellyfish as they could. Two men would collect the jellyfish while the other one would stand guard. The last thing they needed was for one of them to get stung. 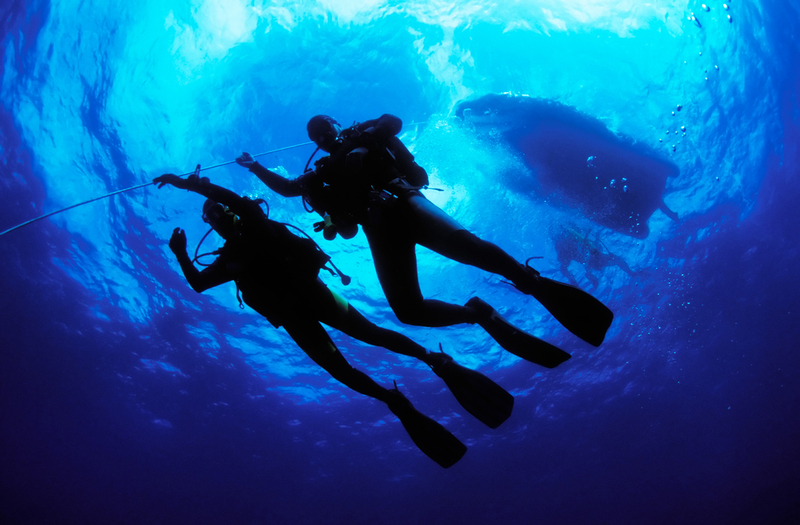 Michael and Dr. Palo decided that they would be the divers on this excursion. 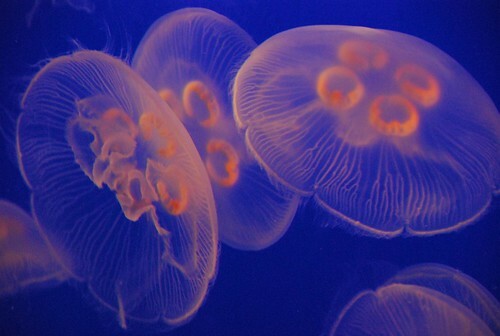 They had much more experience with jellyfish and knew how to look out for them. Rob, who mostly did work in the lab, would watch out for any sudden waves which could push the free floating jellyfish against the two men. The boat slowly approached the clear waters where common jellyfish were prevalent. There were enough that could be collected, but not an overwhelming amount. Back at the lab, Toni was trying to figure out how the virus had gotten into the jellyfish. “Could they have eaten something that would have been carrying a virus,” she thought. “No that’s ridiculous. They mostly eat plankton. We would have known about any virus that would use plankton as its host by now. Maybe it could have been from another species in the ocean?” She couldn’t think clearly. She had tried to appear calm for the men, and it had worked. They hadn’t noticed that she was extremely nervous. She had never had to deal with something like this before. Rob and Dr. Palo quickly pulled Michael into the boat. He was screaming loudly now and anyone that was in half a mile radius could hear him. Rob and Dr. Palo stripped off his two stinger suits and looked at his leg. “Don’t touch it!” Michael yelled. He continued screaming and looked as if he might pass out. “Do you have any vinegar?” Dr. Palo asked Rob. Rob rummaged around. He quickly removed the cap and doused Michael’s leg. As soon as the vinegar hit Michael’s leg he passed out. The pain was just too much for him to handle. Dr. Palo and Rob drove the boat quickly back to the lab. At this point there wasn’t much they could do for Michael—they now had to find out what had caused this virus to appear in the jellyfish. Toni was glad to see them. When she saw them carrying in Michael she felt a pang of guilt. If she hadn’t suggested they go collect more samples this poor man would not have gotten stung. She looked at his leg. Dr. Palo noticed her concerned face. “No worries, he’ll be okay. The second stinger suit saved him. He just passed out from the pain but he’ll come to. We now need to concentrate on finding what caused this virus.” Rob helped her prepare the slides and Tina began to scan them intently. While she was looking at the slides, Rob prepared some DNA samples from the cells. After looking at the slides for hours, Tina finally confirmed that her original thought about the virus was true. DNA samples from the cells also confirmed her opinion. “I don’t understand how this is helping us Tina,” Rob stated. Dr. Palo knew exactly where Tina was going. He didn’t know why he hadn’t thought of it before. It made perfect sense. Because of the holes in the ozone layer, the intensity of UV light had increased and had been damaging the DNA in the cells of the nematocysts for a long time. The jellyfish had been dying because the virus was finally taking over the cells and killing its host. The lytic cycle was prevailing and had somehow caused the levels of the nematocysts to increase. The only way to fix the situation was to fix the damaged DNA. Once the DNA was repaired the lambda repressor would increase, and the lysogenic cycle would once again prevail. No more high levels of nematocysts and no more death-causing stings. The problem had been solved. “Oh, Cara..,” Michael whispered. He leaned over, gave Cara a kiss on the forehead, and embraced her. As the two of them stood there hugging in the airport, Michael couldn’t help but think about all that had happened. He debated whether or not he should tell Cara. “Nah,” he thought, “she’d never believe me”. Some things are just better left unsaid.